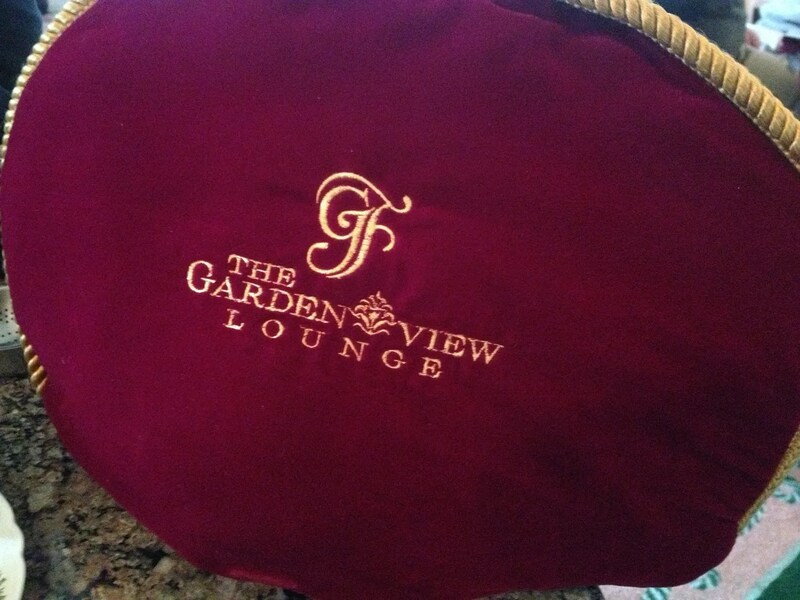 First let me explain the reason behind this dining choice. 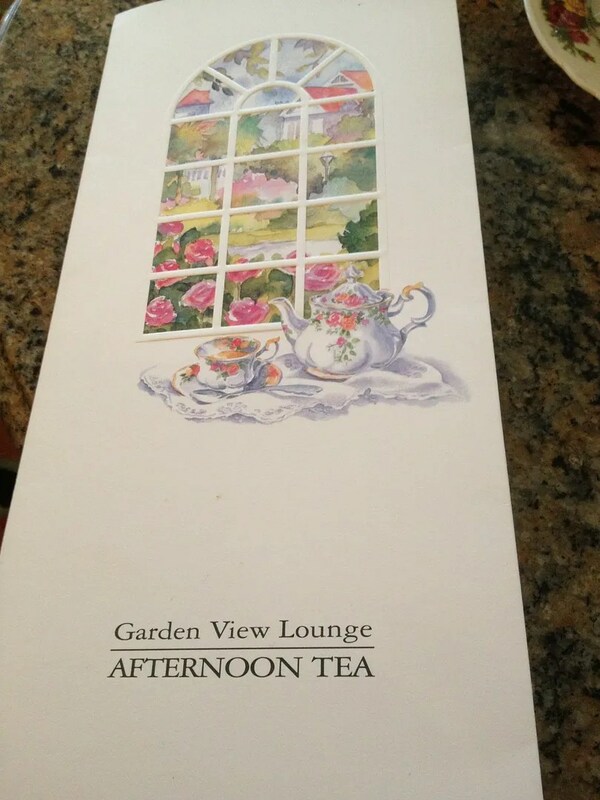 Having afternoon tea at the Garden View Lounge has long been a tradition for my daughter and me. 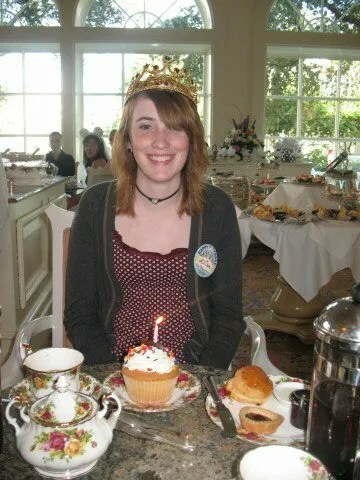 Our first time was in Nov. 2007 and we were celebrating her 18th birthday. My very happy daughter donning the birthday tiara she was given by our server. 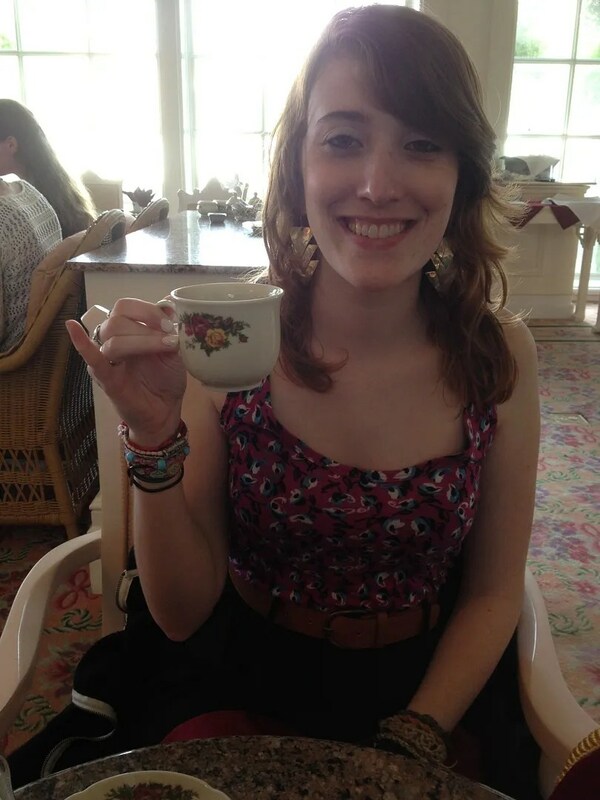 From that time on we were hooked and have included a mother/daughter tea in our plans during every Disney World trip since. 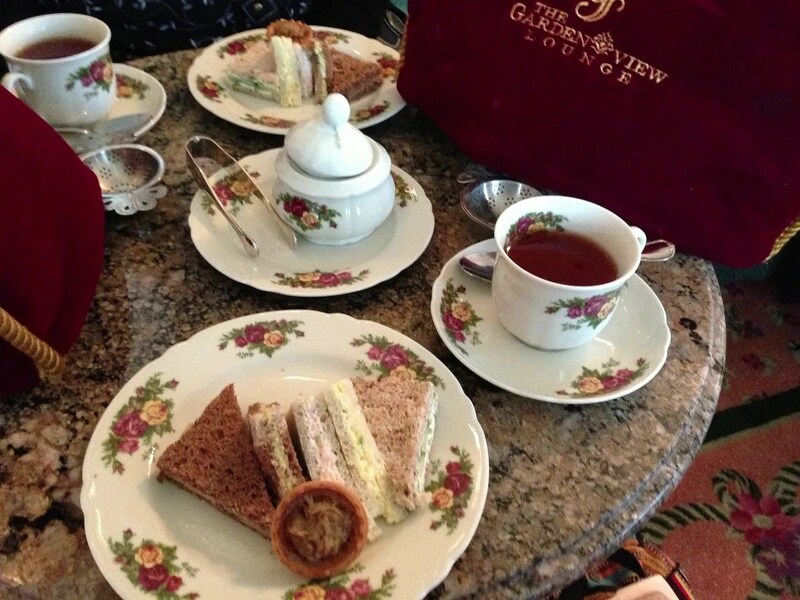 Since we had already had our lunch, we decided not to have the “Grand Tea” or “Buckingham Palace” like we normally do. 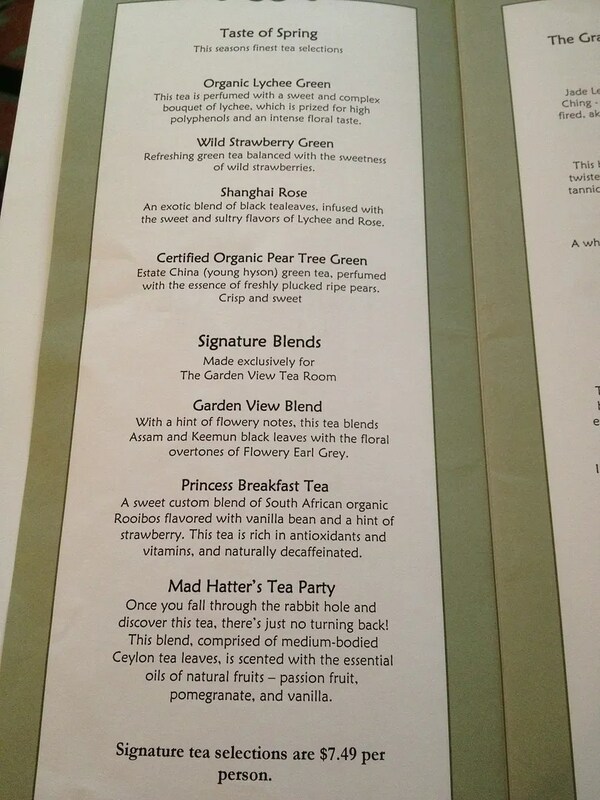 Of course, when sipping tea in a lovely and sophisticated place like the Garden View, it is mandatory to raise your pinkie. These were all very good, just as they have always been, except for the salmon one. 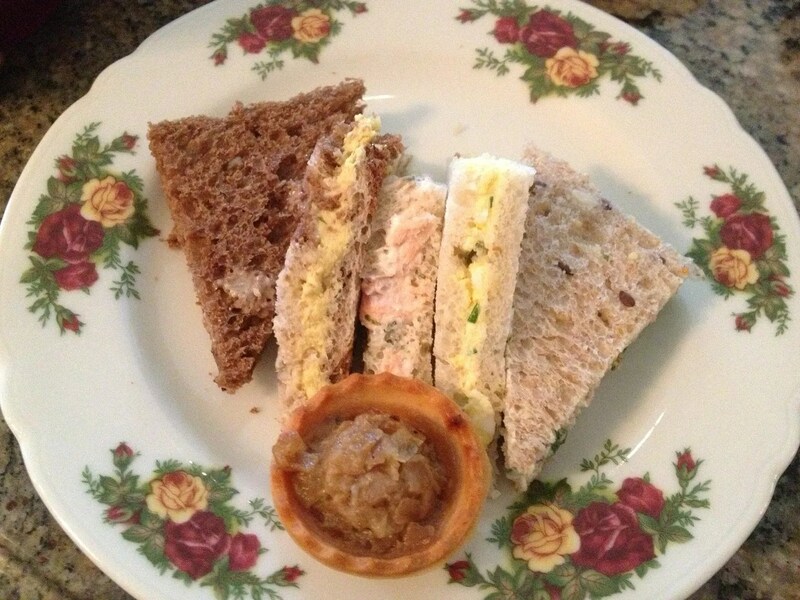 It has replaced the Shrimp Salad in the assortment, and it was not a good change. My daughter described the flavor of the salmon as being “like a barn smells.” Now I’m not entirely sure what she meant by this, but I can tell you that this sandwich smelled and tasted very fishy. 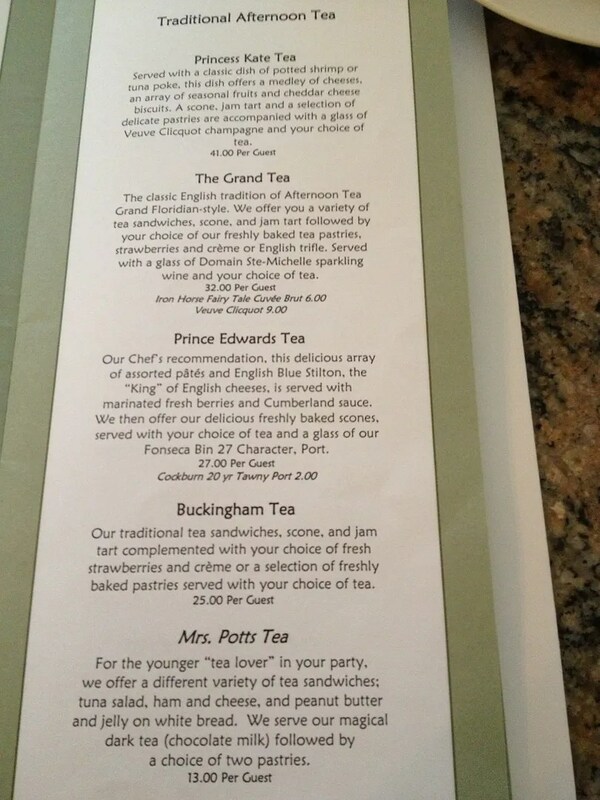 Next time, we will definitely be requesting a substitute, which for me will be my favorite…the Pear & Gorgonzola. 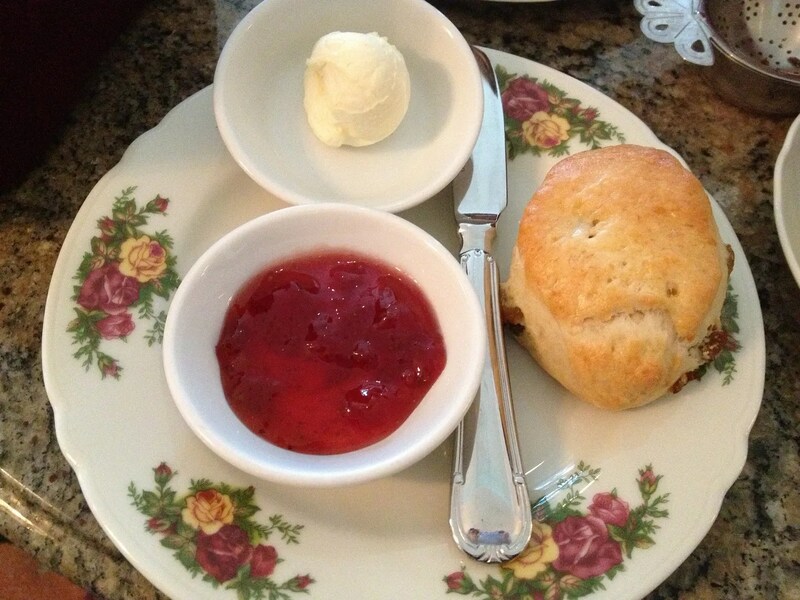 We each received a plate with one scone and two small bowls, one with a scoop of Devonshire Cream and the other filled with Strawberry Preserves. 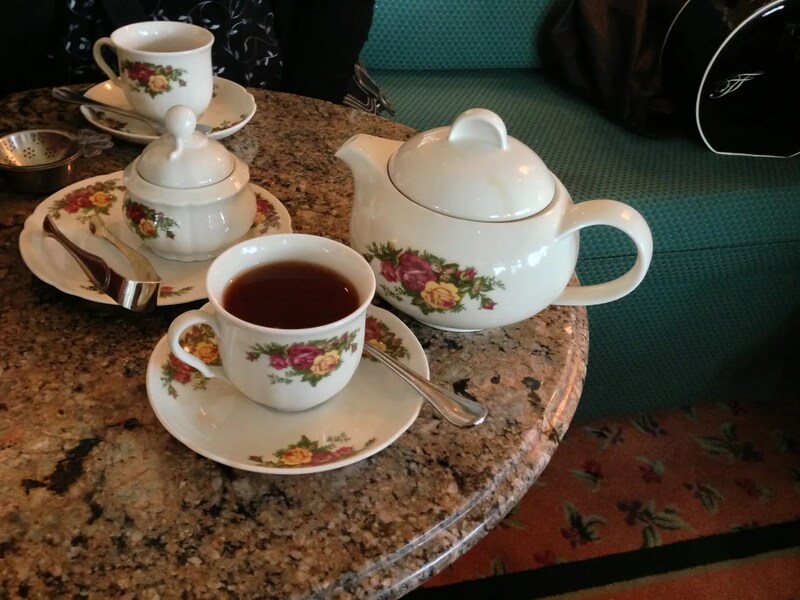 While you are given a choice of Strawberry Preserves or Lemon Curd, we have always chosen the preserves. However, after hearing from emmebear and Rachel on the Live Thread that the lemon curd is heavenly here, I think next time I’m going to give it a try. 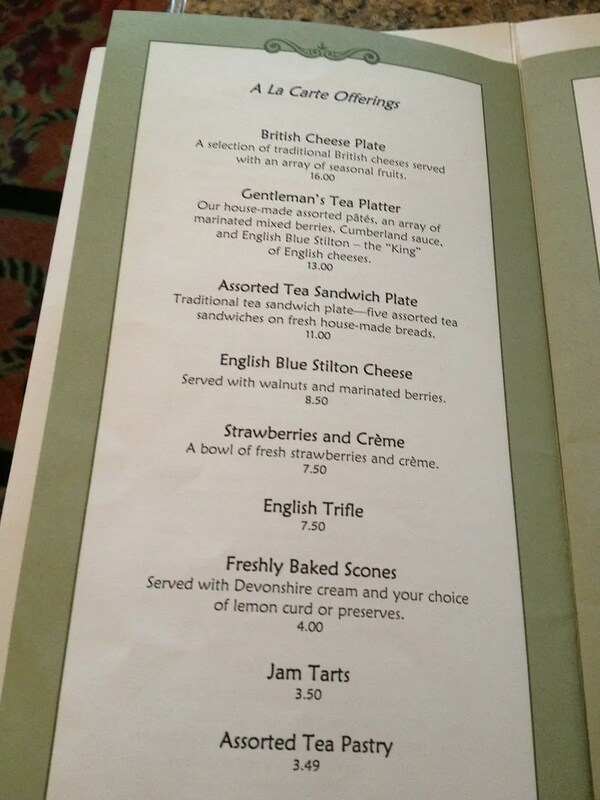 But regardless of which second topping you choose, you can’t really go wrong here once you have generously slathered that Devonshire Cream on your scone. The preserves or lemon curd are just “icing on the cake”. No tiara this time, but still looking very happy! 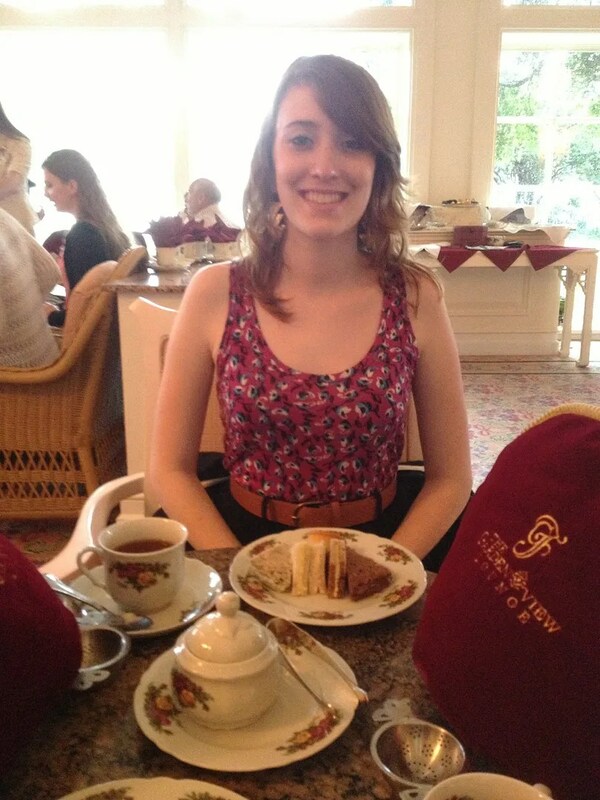 And with that, here ends another Mother/Daughter Tea at the Garden View, which was Practically Perfect in Every Way. 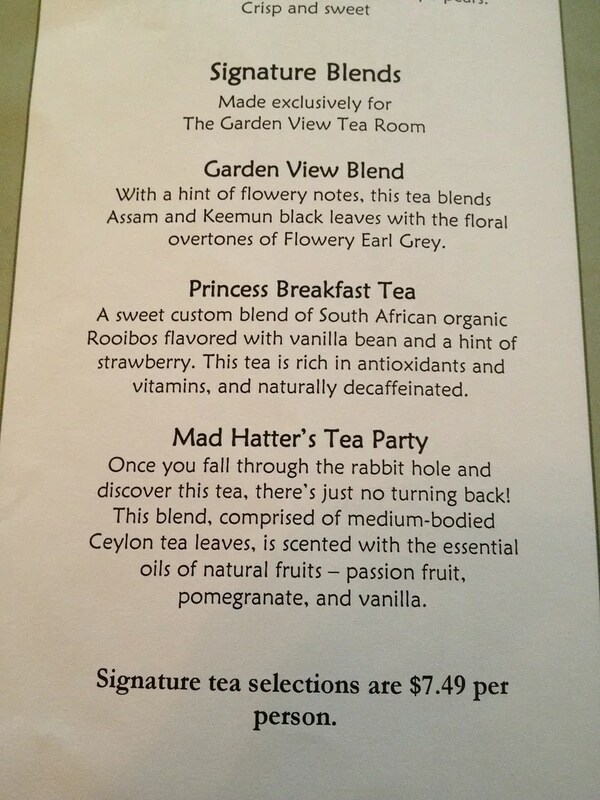 ETA: Although the Garden View Tea is not part of the Disney Dining Plan and as far as I know does not offer any other discounts (like Annual Passholder or DVC), it does accept Tables in Wonderland for a 20% discount.